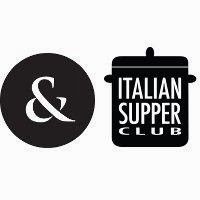 The Italian Supper Club are back with a dinner at Liddicoat & Goldhill architects in Dalston as part of their 'Eating Around Italy' series. This time - Lombardy, in the North. "Our Eating around Italy series of suppers explores the cuisine of a specific region and is hosted by our friends at Liddicoat and Goldhill, who have a truly beautiful space. We'll be cooking up a feast hailing from our home region of Lombardia. We're keeping the menu under wraps for now, but expect to be blown away..."